At some point, those with long beards seek to have them trimmed. This may be the result of self-initiative or the prompting of significant others. 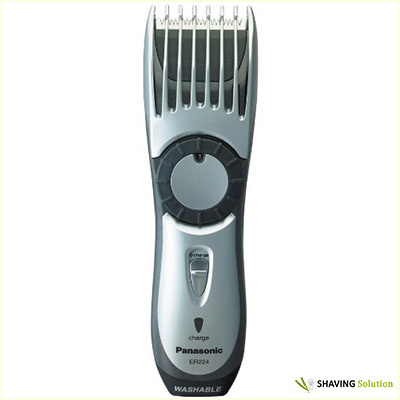 For whatever reason you may need to trim a long beard, we provide best beard trimmer for long beards list. In deciding which trimmers to include, we considered the maximum length for the beard trim, battery specifications, and the versatility of the products. 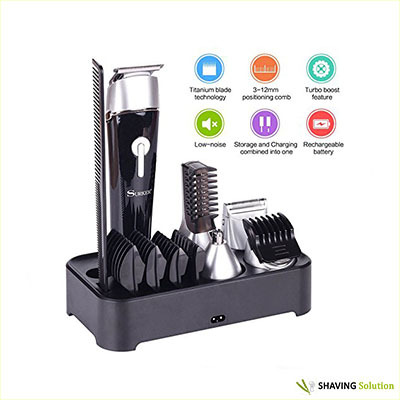 This best beard trimmer for long beards entry also performs mini grooming functions, but we will focus on beard trimming. The blades that make that happen sharpen while in use. With three beard and stubble combs, you can put the finishing touches on your shaving session. These and the other attachments or washable in your faucets. 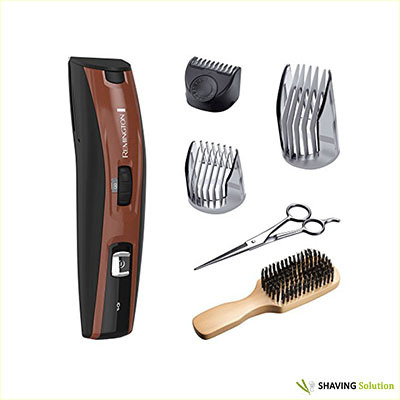 For power, this Remington trimmer uses lithium-ion battery or a power cord. The latter source will not avail you unless the trimmer already has some charge. One customer notes getting 9 months of use before it stopped charging for good. 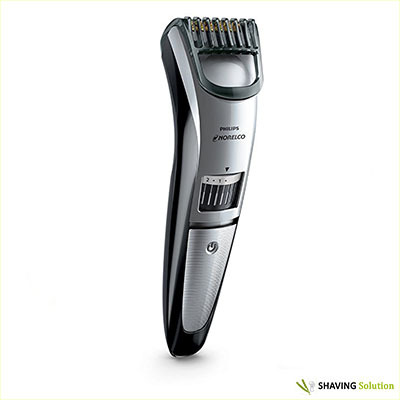 With this long beard trimmer, you can choose from blade Heights between 1 and 1.9 mm. For longer lengths, you have options of length guards as small as 1 millimeter and as high as 18 mm. The blade comes in a ceramic housing, making it four times harder than stainless steel. This promises less friction, heat, and noise than the metal blade counterparts. Nevertheless, oil your blades occasionally to maintain the low friction. As with many of our best beard trimmer for long beards ideas, this model uses a lithium-ion battery. From each full charge, you have up to four hours of operation time. Its digital battery life display tells you how much power your battery has and when it’s time for a charge. Count on about three hours to achieve a full charge when the battery strength is nearly depleted. Blade oil can stretch the battery life even longer. 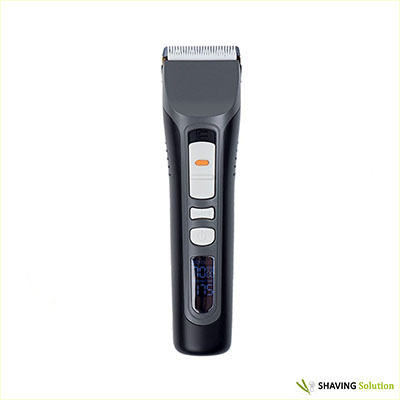 In profiling this beard trimmer, we start with the battery specifications. The lithium-ion battery runs for four hours on a complete charge. With the smart-charging LED, you can see the progress. If you need to use in a time pinch, a 60-second charge will yield you a three-minute session. It also makes a good long beard trimmer when you’re traveling internationally, thanks to the ability to use with 220v outlets. In the United States, such four-prong outlets primarily serve stoves, washers, dryers, and other very large appliances. The guide combs range from 1/16 inch to one inch long. You can also attack long beards with the “T-blade” trimmer. In this contribution to our best beard trimmer for long beards list, you’ll notice the titanium blades that sharpen while you shave. Using the zoom wheel, you can select from 20 built-in precision length, starting at 1/32-in. in reaching 13/32-in. This translates to a range of 1/2 mm to 10 mm. The zoom will takes the place of needing to replace combs to adjust the cutting height. Power comes both through wall outlets and a lithium-ion battery. You’ll get two hours of use on a full charge. Getting to that level usually takes one hour when it gets nearly depleted. 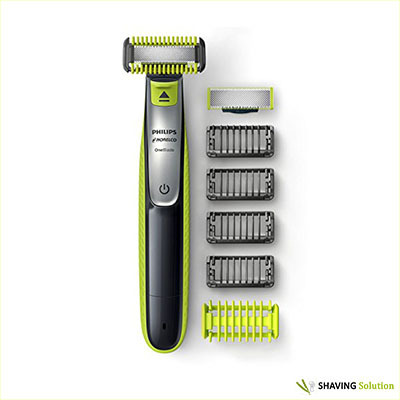 This trimmer from the famed consumer electronics brand shaves long and shorter beards with up to 19 options for beard-cutting lengths. The 0.5 mm increments start at 1 mm and reach a maximum of 10 mm, the adjustments made possible by a dial. In this entry for the title of the best beard trimmer for long beards, we depart from the lithium-ion to feature one with a nickel metal hydride battery (NiMH). Such batteries have a lower specific energy than the lithium-ion counterparts and can lose power and performance if you keep this trimmer in high-temperature environments. You can use the Panasonic ER-GB40-S for 50 minutes on a full charge, which takes an hour to achieve. The waterproof properties afford you safe and effective use in showers and the ability to clean with faucet water and rinsing. 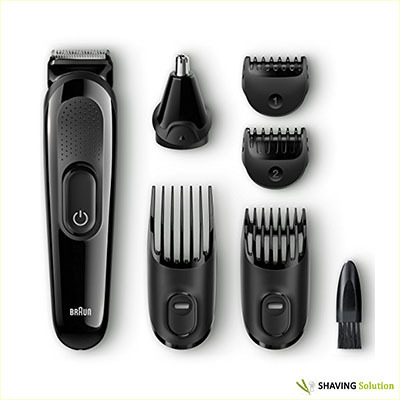 Braun enters our best beard trimmer for long beards lineup with this MGK3020. The factors include a maximum cutting length of 21 mm and the capacity to attack long, medium, and small beards, along with stubble. Heights change at 0.5 mm intervals. From a fully-charged lithium-ion battery come 40 minutes of use, slightly less than other models featured here. You won’t have an indicator to tell how much power is left or when it needs recharging. Many customers compliment the lightweight feel of the trimmer. It has a listed weight of 8.3 ounces. If you’re having issues with finding a good trimmer or razor, you might have sensitive skin; we recommend also going through our collection of the best electric razors for sensitive skin and the best shaving gels for sensitive skin. A full-size trimmer, eight attachments, a beard comb, and other accessories come with this Philips Norelco entry into our pool of best beard trimmer for long beards. Eighteen height settings allow you a maximum cutting length of 18 mm, with adjustments in 1 mm steps. 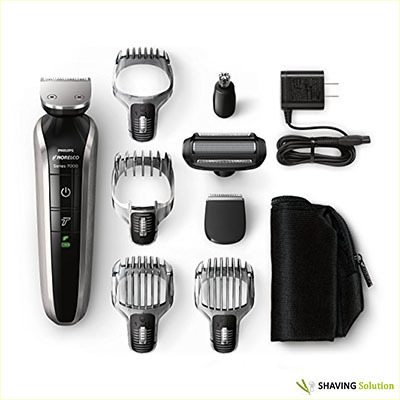 With the lithium-ion rechargeable battery, you get 60 minutes worth of long beard trimming and other grooming on a full charge. Some purchasers note the quietness of the motor, which may be due to the build of the trimmer or may be indicative of a weak motor. One user suggests it is not as effective as a Braun for longer beards. 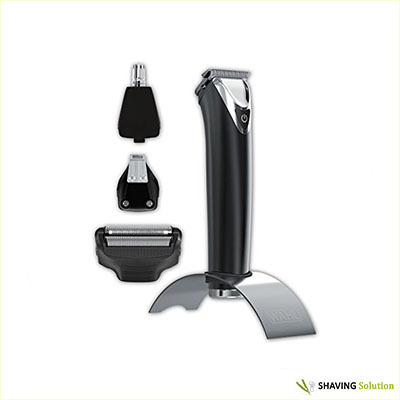 Convenience and some versatility describe the SROCKER beard trimmer. You can recharge by directly plugging into an outlet or with the charging base. The battery can shave continuously for 40 minutes on an eight-hour charge. The stand also serves to store and hold the guards, combs and other accessories. The task of trimming the beards falls upon the titanium blades. Positioning combs of 3 to 12 mm provide length for a variety of beards. This model does not rake is waterproof, so limit Water contact to the trimmer head when your rinsing. Washing the whole trimmer is likely to cause irreversible damage. This Philips Norelco has the appearance of a slender shaver. However, you’ve got a blade that can trim beards and hair of any length. This also breaks the mold in that it is a single blade. With a single blade rather than multiple attachments comes less time cleaning and keeping track of attachments and components. Four stubble combs and a body comb evenly trim your facial hair. Although this can shave long beards, it is not so close as to cause discomfort. This also differs from the traditional razor to which this might otherwise resemble because it uses a lithium-ion battery. A full charge takes approximately four hours, from which you can get a constant one hour of trimming on that charge. 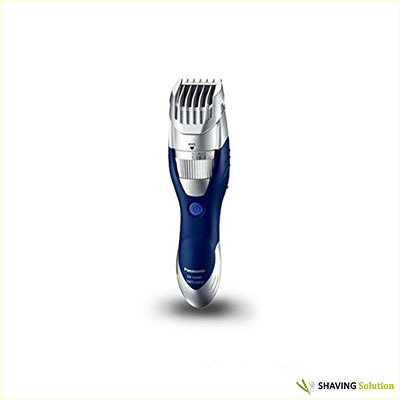 This best beard trimmer for long beards, at a minimum, doubles the running time of other products we have described here. With a four-hour charge, this Remington runs for two hours. Remington bills this product as its Copper Edition in part for its finish and appearance. The titanium coated blades promise a trimming range of 1.5 mm to 35 mm. The longest previously profiled in this list is 21 mm. You can adjust the cutting length with the wheel rod. Accessories include trimming combs at three different lengths. For long beards, employ the XL length comb. 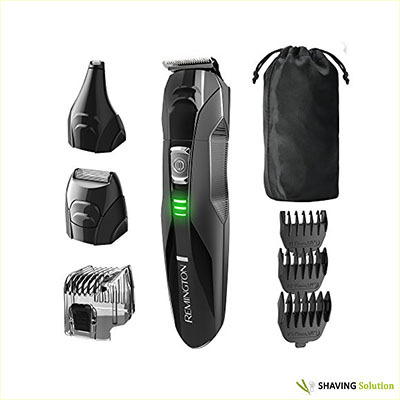 Finding the best beard trimmer for long beards involves a bit of accounting for your personal taste as well as the effectiveness of the blades, batteries and other components. In this review, we have highlighted those features. Please share with us your experience with any of these products or if you think of others we should profile.